The last few days have not been kind to a Toronto Blue Jays’ bullpen that never looked like the club’s strength. John Axford encountered elbow problems and was released. Ryan Tepera had an injury scare, and despite the good news that he won’t need Tommy John surgery, it’s hard to know exactly where he’s at. Bud Norris had to shut it down for a day, which is never a great sign even if he’s ultimately OK. So, what do you do when your stable of reliable-but-ultimately-unspectacular veteran righties looks shaky? You go get a reliable-but-ultimately-unspectacular veteran righty, of course. Source: #BlueJays have signed RHP Daniel Hudson, who was recently released by the Angels. He's getting a big league deal. 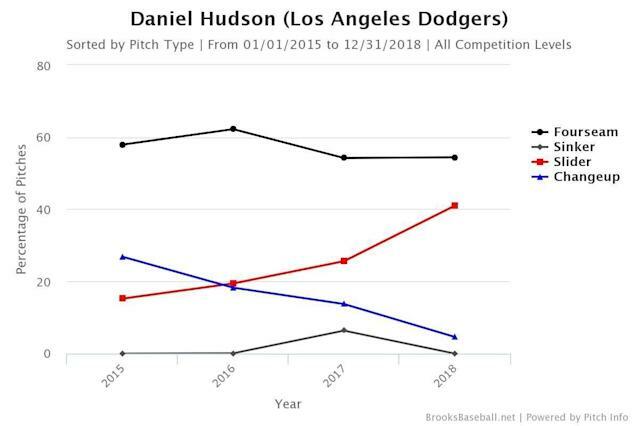 Hudson, 32, posted a sub replacement-level season in 2018 per FanGraphs, pitching to a 4.11 ERA and 4.38 FIP in 46 innings with the Dodgers. 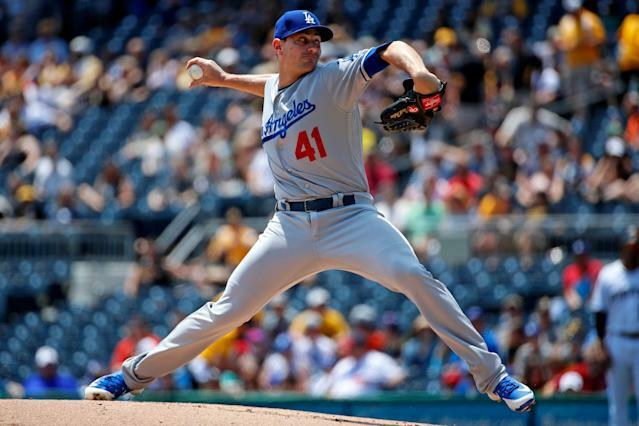 After his once-promising starting career was brought to an end by injuries he’s reinvented himself as a one-inning reliever with 235.3 innings of 4.39 ball logged since 2015 with a 3.97 FIP, good for 1.5 WAR. By results alone, he’s been very much in the “just a guy” category, that’s why he was available to the Angels on a minor-league deal earlier in the offseason. The primary reason for optimism that he has another gear is his fastball, which is excellent. The 95.3 mph offering compares very favourably around the league is velocity (83rd percentile) and spin (90th percentile), and he held hitters to a measly .191 batting average and .270 slugging percentage off it in 2018. In terms of secondary stuff, Hudson’s slider and change aren’t as dynamic as his heater, but it’s interesting to note he’s become more and more of a two-pitch fastball-slider specialist in recent years. Theoretically speaking, throwing the slider that frequently could help Hudson find a better feel for the pitch, but that hasn’t been borne out in the results just yet. If the Blue Jays are signing Hudson with the idea he’ll be an impact arm in high-leverage spots they will probably going to be disappointed. More likely, they acquired him thinking he could give them some innings without getting beaten up too badly. As long as that’s the expectation it’s unlikely the veteran will disappoint. The Blue Jays bullpen seems to have a lot of holes all the sudden and he’s certainly capable of filling one.